Choose Tropical Inn as your base for an unforgettable vacation or weekend getaway to the Florida Keys! 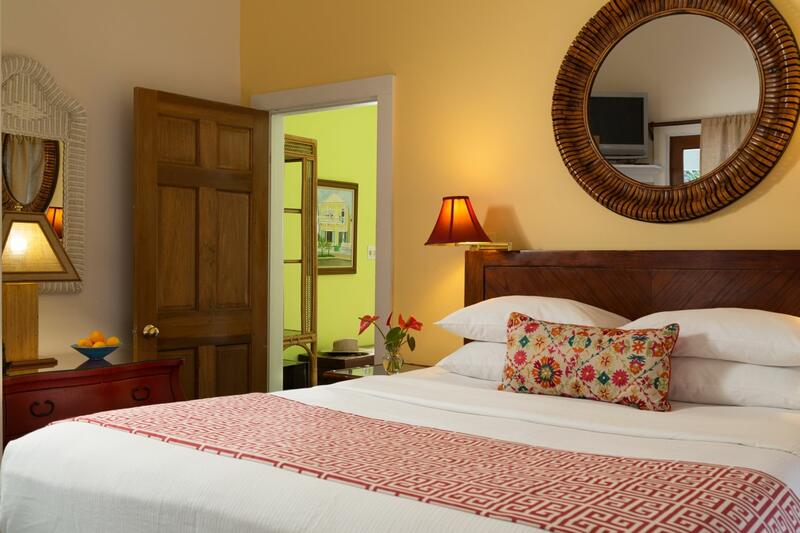 Of our various lodging choices, the Premium Queens are our midrange accommodations. 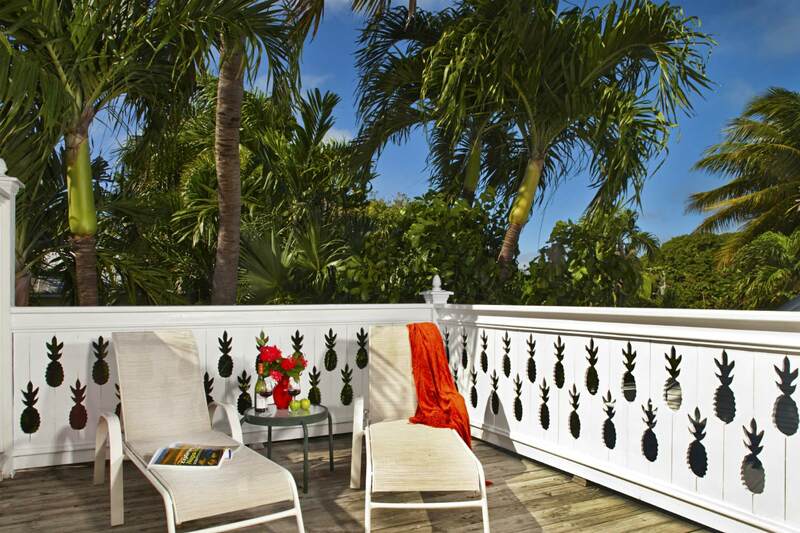 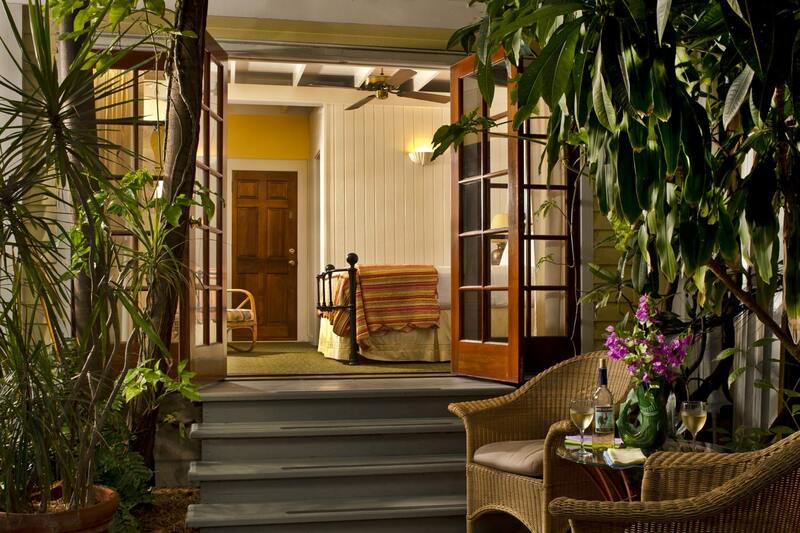 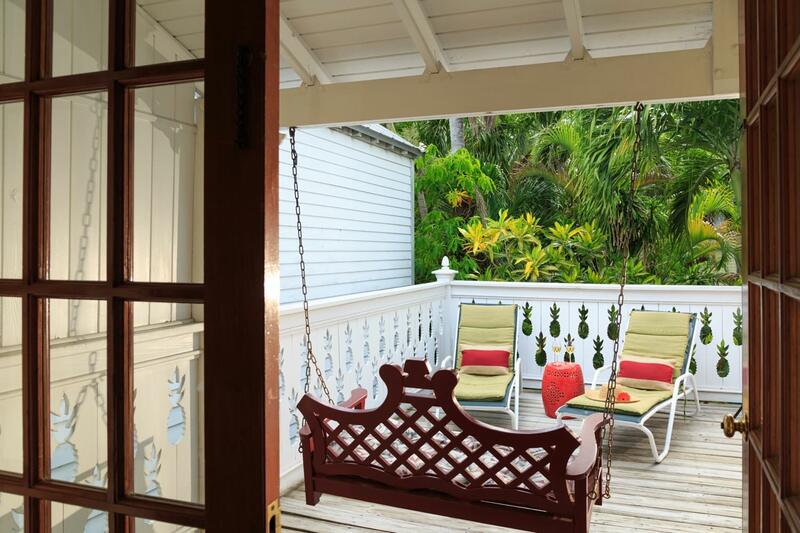 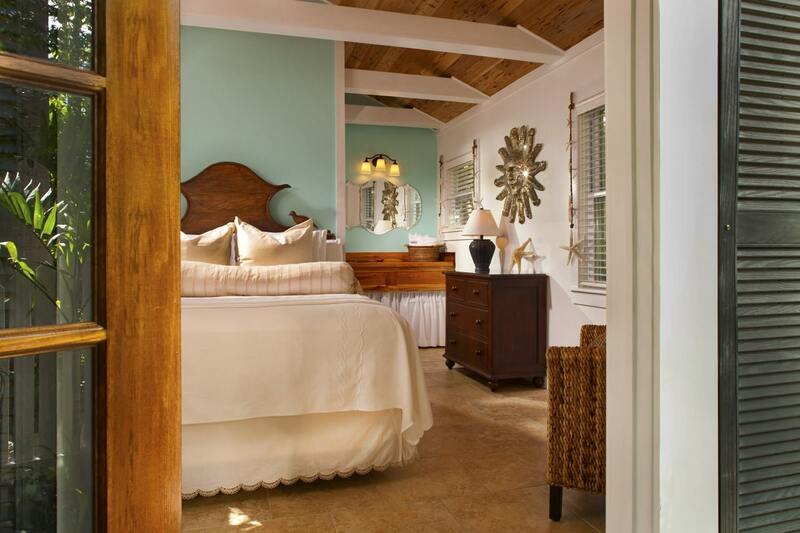 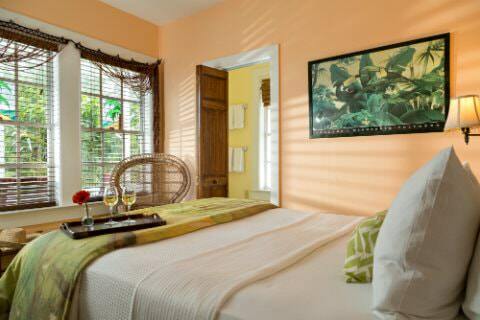 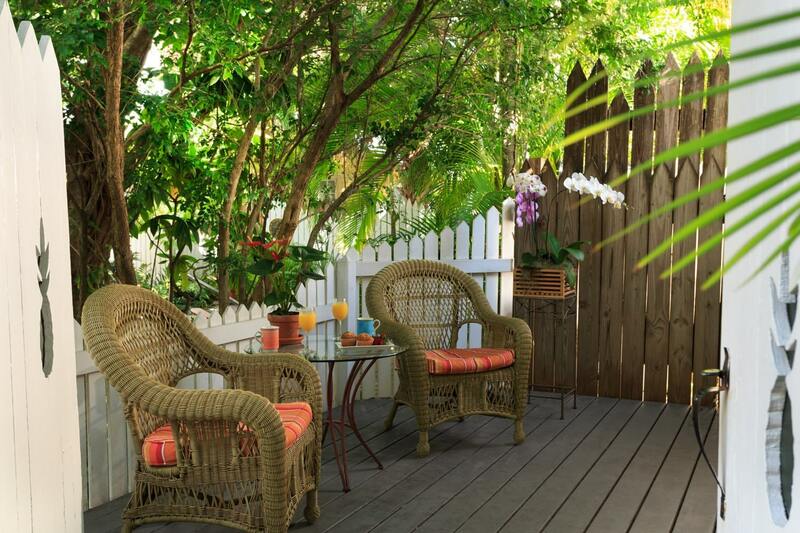 Each has its own private patio or veranda, imbuing your Key West getaway with the tranquility you crave. 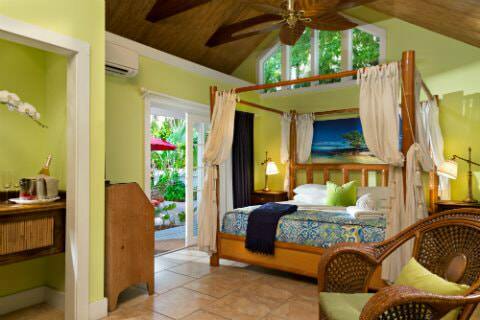 Out of these four rooms, the Conch Courtyard is situated in a garden cottage; the others are in the Main House. 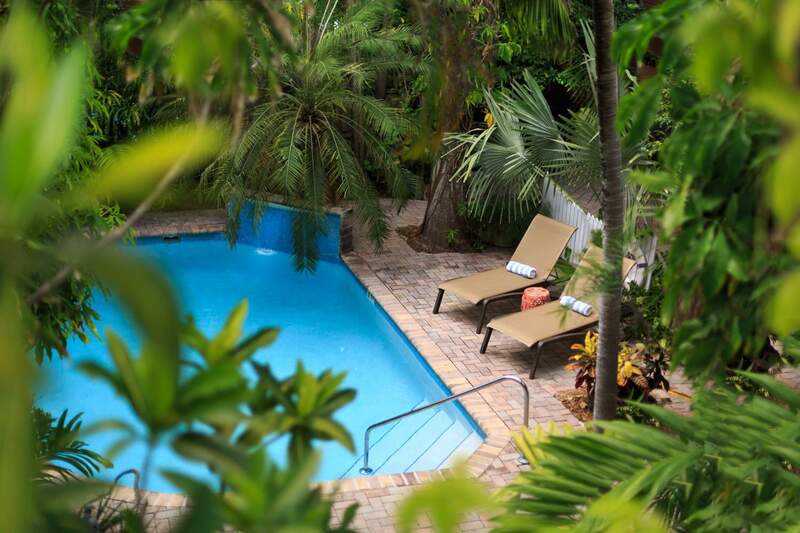 All feature gorgeous views of the garden and pool. 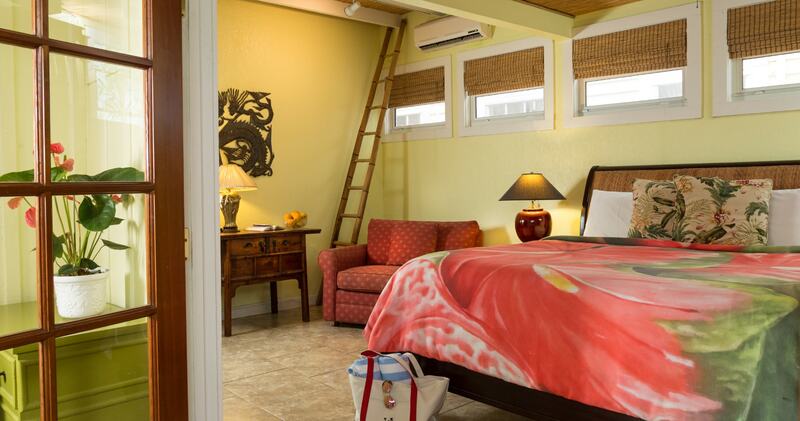 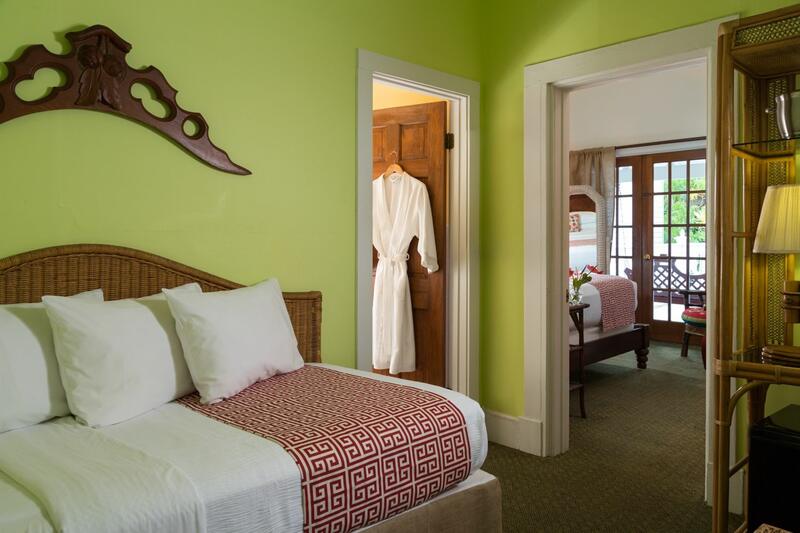 There are those who insist that there is something magical about the Key Lime Loft, the smallest but most often-requested Premium Queen accommodation at Tropical Inn. The Key Lime Loft is an indoor-outdoor treetop suite sheltered by the fronds of a graceful coconut palm. 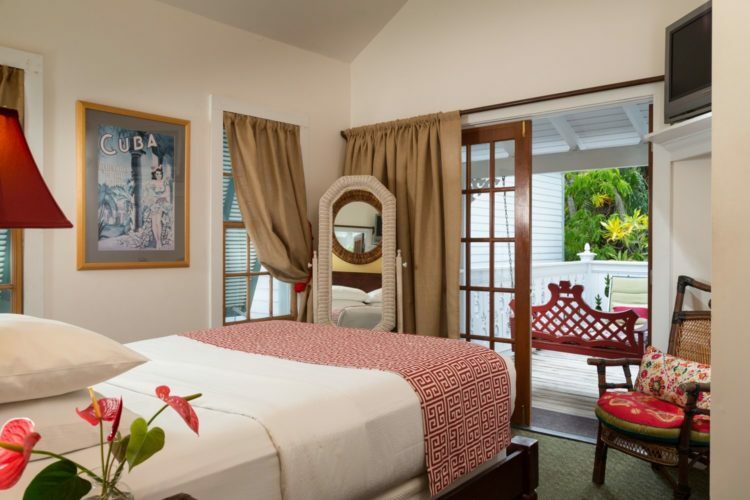 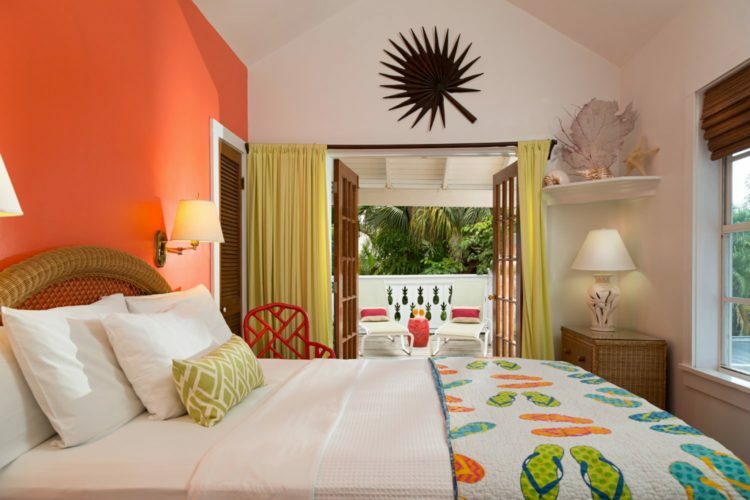 This cozy room with vaulted ceiling opens through French doors to its focal point: a spacious private deck overlooking the garden and pool, perfect for romantic weekend getaways spent savoring balmy breezes and Key West’s signature technicolor sunsets. For the traveler with an adventurous spirit, Tropical Inn offers an accommodation to match. 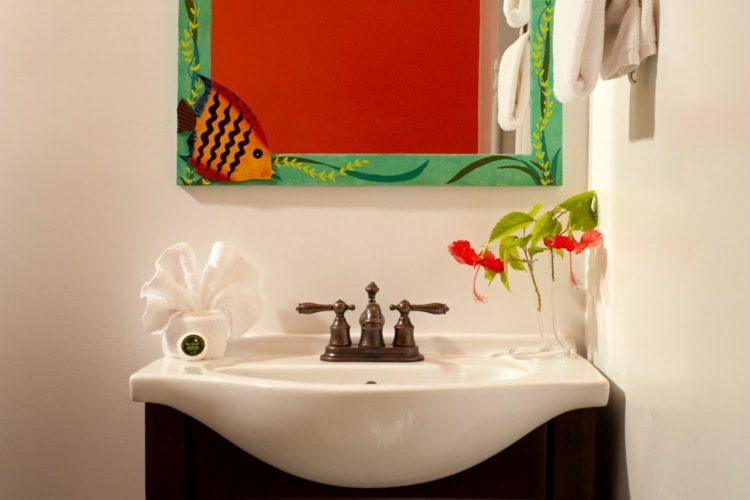 The Banyan Tree Suite boasts a fusion of elements that make it truly striking. In the main bedroom, the ceiling vaults over a Plantation-style queen-size bed and “fashion statement red” dresser. 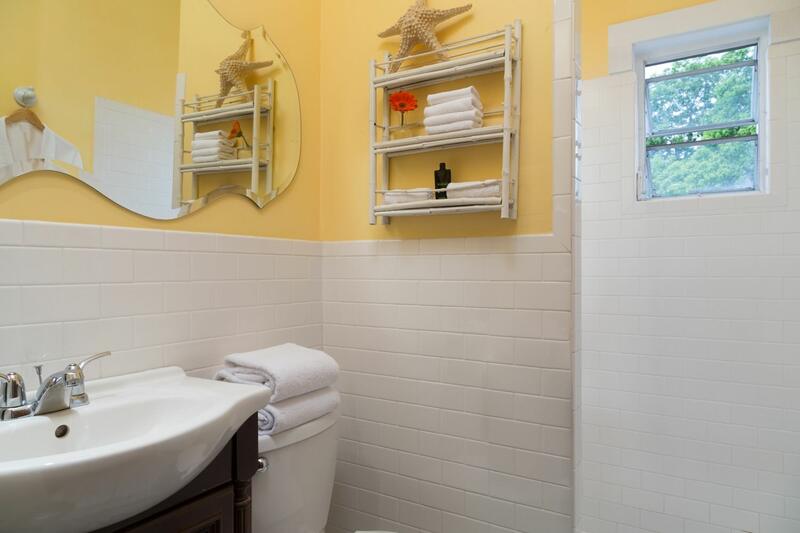 The bath is tiled in gleaming white porcelain tiles, at once “retro” and trendy. 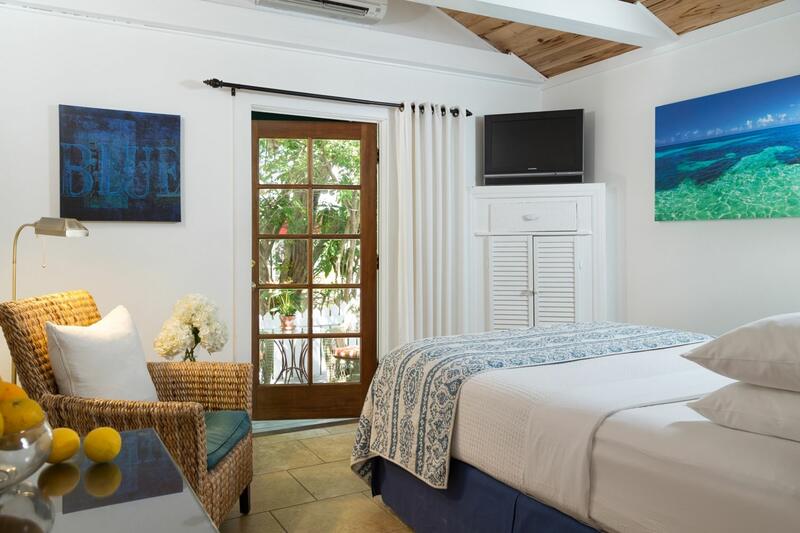 A smaller room adjoins with a single (twin-size) day bed and an étagère, which houses a mini fridge and beverage service. This extra space allows the suite to comfortably accommodate up to three guests. 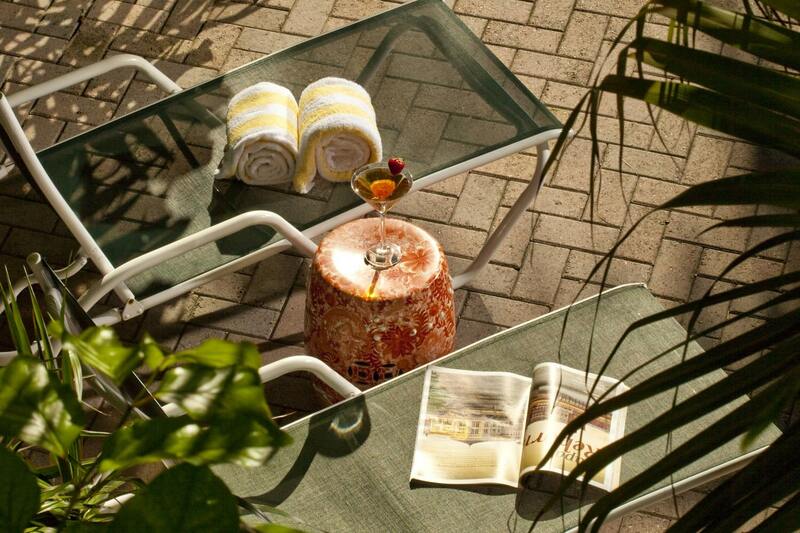 One of Tropical Inn’s most often-requested accommodations, the Poinciana Patio is drenched in sunshine. An exceptionally comfortable pool-view retreat on the ground floor of the Main House, it features a vaulted ceiling and entire wall of glass that makes it feel “one” with the inn’s expansive garden. The room embodies a warm, mellow ambiance, created by eclectic furnishings including a beautiful antique armoire with beveled mirrors and a handsome wrought iron bed luxuriously dressed in soft linens. A compartmental bath assures privacy and convenience. 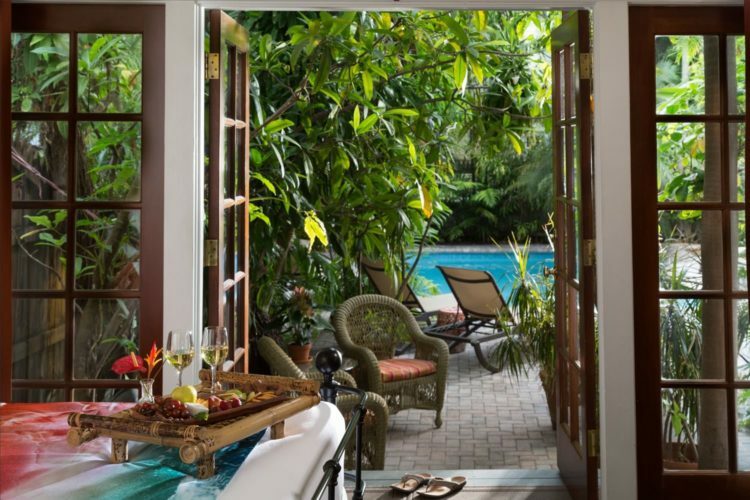 French doors opening to a private patio “bring the outside in.” Welcome each perfect day in paradise with breakfast in your own cozy corner of the garden, soothed by the music of the pool’s waterfall. 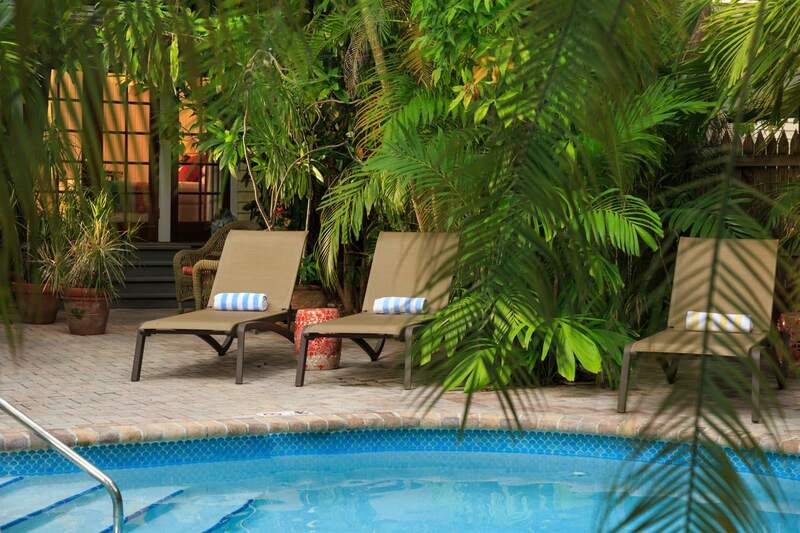 The Conch Courtyard of Tropical Inn is nestled poolside in the heart of the garden. Step through the gate of its private, picket-fenced patio into cool, dappled shade — the perfect spot to share a leisurely breakfast or welcome the evening with cocktails at sunset. 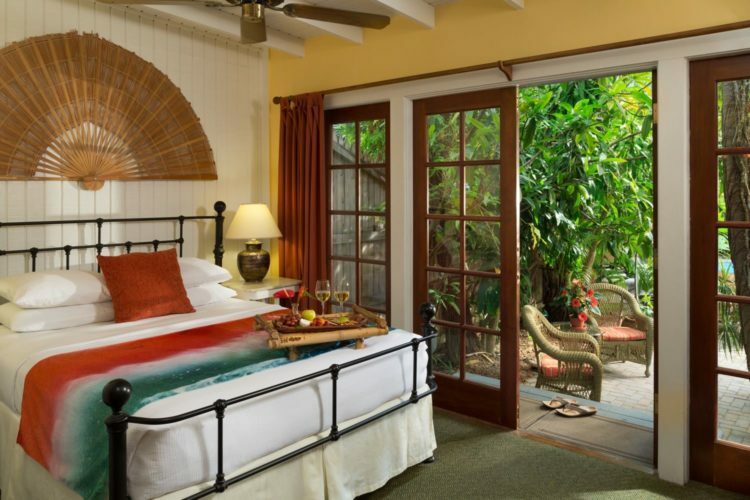 Inside, simple cottage architecture with pecky cypress vaulted ceiling whispers “Old Florida,” while gleaming white overhead beams and stone tile floors underfoot remind you that you are in the islands. 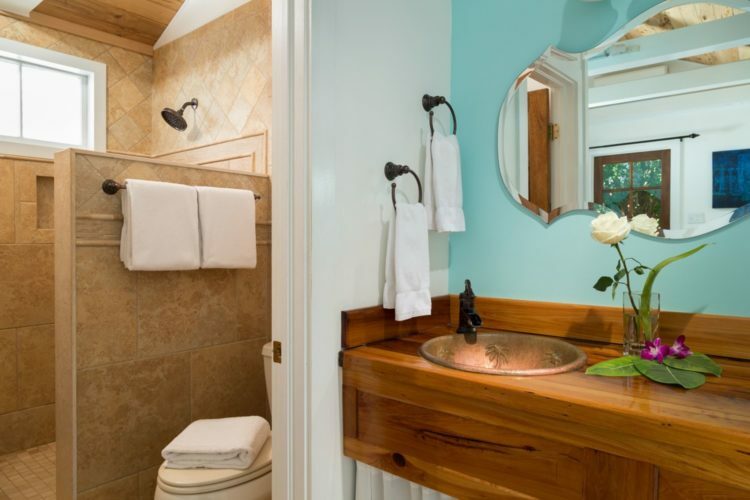 The Conch Courtyard’s compartmental bath affords privacy and convenience for guests sharing the room. 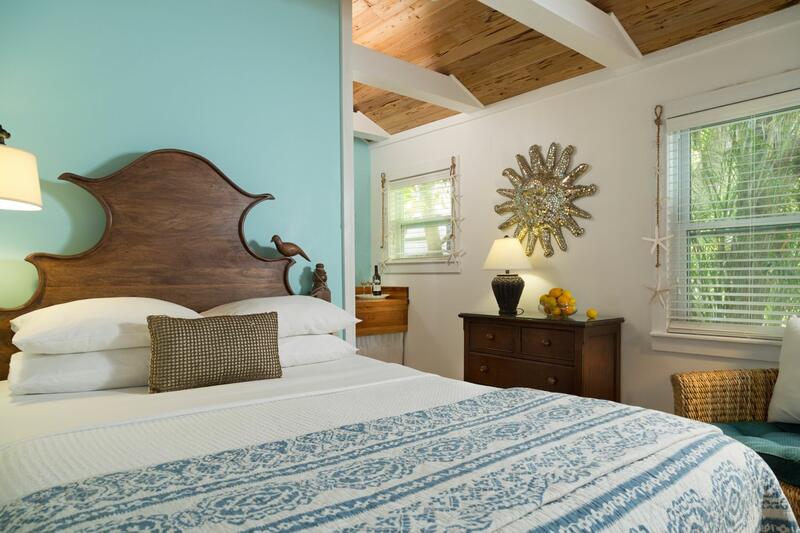 Custom design, quality furnishings, and exacting attention to detail are evident throughout.